From Amherst or Halifax, take Exit 10 off Hwy. 104. At the ramp turn towards Great Village. Turn right onto Hwy. 2 at the intersection in front of the West End General Store in Great Village. 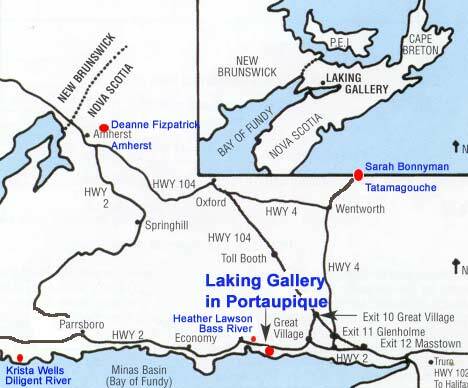 The gallery is in Portaupique on Hwy. 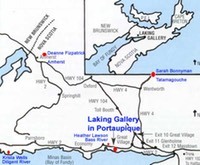 2 (10 km west of Great Village and 5 km east of Bass River. ), just 90 minutes from Halifax. 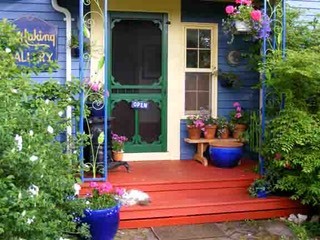 The Gallery is open by chance or by appointment. Please call 902 890 8450 or 902 890 8730 to make sure that we are home.